The success of an organization will depends on its ability to measure accurately the performance of their employees and use it persuasively to develop them as valuable resources. The Performance Evaluation & Development process aims at being more than a mere tool to evaluate performance and focuses on professional performance development. · To identify the most important aspects of the job and base performance measures on the same. · To evaluate employees on their performance during the appraisal period. · To facilitate employees in planning and management of their own work, leading to enhanced performance. · To facilitate career planning by determining appraisee’s potential for taking on diverse roles and responsibilities. · To provide training focused on specific developmental needs. Key Result Areas are critical functions of a job or a role, which makes its distinct contribution to the achievement of the company’s goals. KRAs require tasks to be performed by an employee in relation to his job. They are critical areas of performance assessment and should be mutually agreed upon and listed at the beginning of each appraisal period. Each KRA can be further broken down into specific tasks. a. SMART I.e. S- specific, M- measurable, A- agreed, R- realistic, T- time bound. E.g. 1. “To achieve a sales turnover of Rs.5 lakhs”. E.g. 2. “To conduct Induction Training for all new recruits twice a month”. b. There should be a minimum of 5 KRAs assigned to a person. KPA = KEY PERFORMANCE AREA. IT IS NOT OFTEN POSSIBLE TO EVALUATE KRA, AND HENCE IT IS SPLIT INTO KPA’s. KPA’s are more focused and easy to monitor/evaluate with KPI. Key result areas (KRAs) capture about 80% of the department's work role. The remainder of the role is usually devoted to areas of shared responsibility (e.g., helping team members, participating in activities for the good of the organization). These are the areas within the HR DEPARTMENT, where an individual or group, is logically responsible / accountable for the results. To manage each KRA/ KPA’s, a set of KPI are set . KRA and hence KPI is attributed to the department which can have effect on the business results and is self measured where applicable. *CORPORATE BUSINESS UNITS/ DEPARTMENTAL PLANS/STRATEGY, FOR THE BUDGET PERIOD, WHICH IS USUALLY 12 MONTHS. 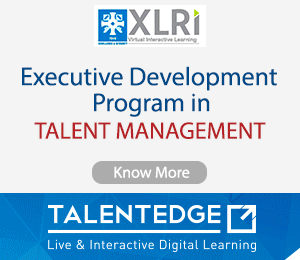 KRA 1-deliver relevant and targeted programs to the organization employees. KPI 1--EMPLOYEE SATISFACTION FEEDBACK THROUGH SURVEY SATISFACTION LEVEL MINIMUM 70%. KPI 3--% INCREASE IN EMPLOYEE PARTICIPATION. KPI 1--EMPLOYEE SATISFACTION FEEDBACK THROUGH SURVEY. SATISFACTION LEVEL MINIMUM 70%. KPI 2--NUMBER OF DEPARTMENTS SATISFACTION LEVEL. KPI 4--NO. OF EXTERNAL PROGRAMS ATTENDED %INCREASE. KPI 5--NO. OF EXTERNAL TRAINING PACKAGES BOUGHT %INCREASE. KPI 6--% INCREASE IN COST. KPI 7--% INCREASE IN RESOURCE REQUIREMENTS. KRA 4-improvements in capabilities/capacities to deliver L&D. HR MANAGER KEY RESULT AREAS. Reduction in number of minutes/hours/days etc. Projects completed per week/month etc. From your previous post, I assumed you must be an expert in this area about KRA, KPA, & KPI. But from your examples, you didnt give any KRA, KPA, & KPI special for Business Development Dept. And I've been browsing all over the web, but still I can not find any useful article. Perfection 99 vs 100 - how to achieve that 1? Re Need Suggestions Regarding HR Management Softwares Including Tasks Like Salaries Leaves Management Etc. Which Finance / HR books I have to refer for my exam? 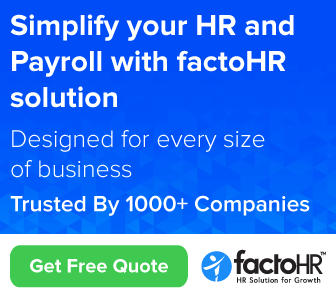 New HR Services - How much capital investment minimum is really required? SAP HR CareersChennai - beneficial in terms of hike and opportunities?